Does God Roll His Eyes? I am not trying to be flippant, I promise. Really, today this exact thought went through my head- Does God Roll His Eyes? I even repeated it to my oldest son. Who probably also rolled his eyes at me. Maybe that is what happens when you are living off very little sleep, and a with lot of adrenaline! Oh, and when you are currently on plan C, or maybe D or E! You see, we are in the middle of a move. Which really translates to we are living between two houses right now. Hang with me, it seemed like a good idea at the time. If you remember correctly, we closed last week with a slight mishap in the middle of it all. I know Salem and Ashton will love that word- mishap! HA! Anyway, after a few days of painting and cleaning we headed back to our old house to regroup and planned on heading back to Omaha on Tuesday. Then the weather decided not to cooperate. Again! Yes, I knew they were calling for snow. Yes, I was watching the weather. Yes, things just kept getting more intense. Those silly weathermen really know how to make things exciting. So all of a sudden we went from chance of snow to 2 feet of snow by Tuesday. Did someone miss the memo that that was the day I was traveling? In a car. Followed by the children who had just been in a weather related accident!?! Change plans at 11:30 at night on Saturday and head out by 9:30 Sunday morning, of course. No way was I taking the chance of getting stuck for who knows how long until the town could dig out and clear the highways. You would not believe how fast one can pack 5 people, two dogs, and one poor fish! My kids are amazing like that! Yes, we arrived safely, ahead of the weather. I have never been so happy to see a house! You see- we have someone very special to pick up at the airport on Sunday! Wouldn't want to be late! And yes, I do think God rolls His eyes. All the time At me, at least! I am so thankful God's plans are the best! And I am thankful that despite the fact that He must roll His eyes at me pretty often, I am still loved! Have you noticed? December is almost here. Can you even believe it? For most, it means a flurry of activities. School plays and recitals, last minute present buying, parties to attend and houses to decorate. For us, it is all that and more. If you have been around here a while, you know that we have almost come to the end of my husbands one year deployment. Actually, we have gone well over 365 days, but who is counting? On top of that we are moving and I have started a new job as Product Manager the TOS Homeschool Review Crew. Yes, to say that December will be a busy month is an understatement. Good, but busy. But I did not want to leave this space sadly quiet while I was busy, so I have asked for a little help from some friends. Some amazing gals have agreed to guest blog for me during December all about Christmas. Wait 'til you read their posts! 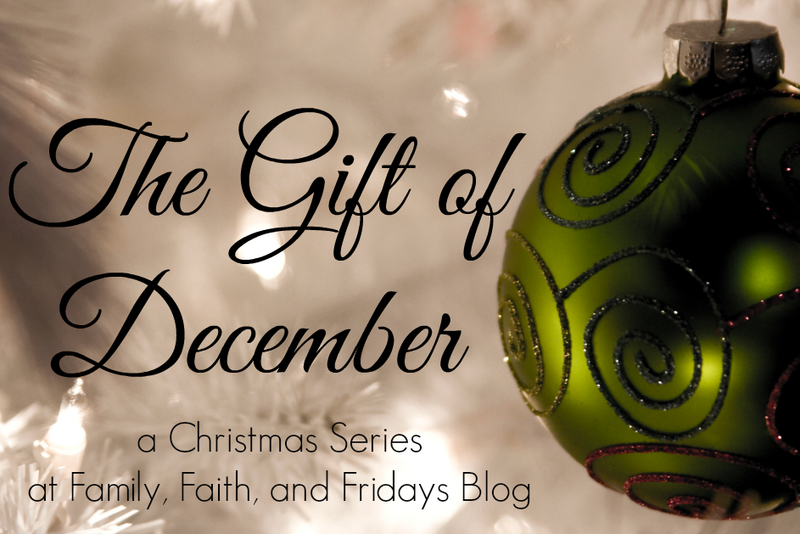 They have lots of fun in store for you- I cannot wait to share the posts with you starting December 2nd. Don't worry, I will be popping in and out, I can't be THAT quiet, and I have a fun giveaway perfect for a stocking stuffer, Plus, I have a lot of fun planned already for 2016! I pray you have a beautifully. blessed Holiday Season and I pray you remember why it is we celebrate! May the Lord bless you and your family this Christmas! First decide what ALL means to you. Because it is going to be different for everyone. -Do I want my child to graduate in four years or earlier? -Do I want my child to have AP classes? -Do I want my child to participate in sports or extracurricular activities? 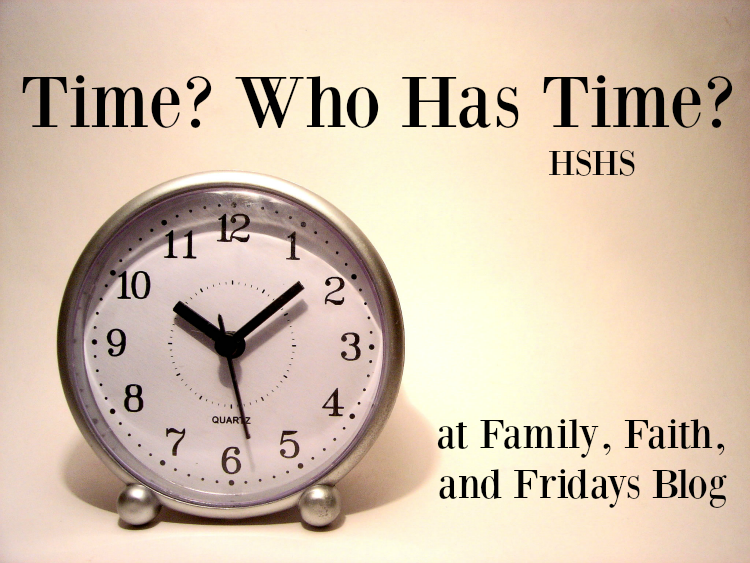 -Do I want my child to work part time? -Do I want my child to take online dual credit classes? There are no universal right or wrong questions. But there are most certainly rights and wrongs for your child. 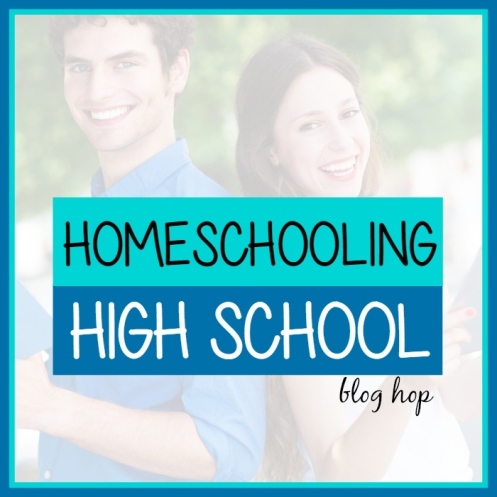 Sit down with your highschooler early on and write down goals - yours and theirs. Even 8th grade is not too early to begin planning. Next, form a game plan. Nothing happens by sheer luck, and your goals will not be accomplished if you have no plan. Divide a piece of paper into four columns and make a tentative course schedule. Decide how and where those courses are going to be taken. Now see where there is space and add in the extras. Because let's face it, anything other than school is extra. Do those things have value? Absolutely! But sometimes our children have to prioritize and make choices Some kids will do great with full days and months, while others will not. Know your child and help them to make informed decisions. Invest in a calendar or student planner. Now is a good time to teach your child how to use these basic tools. Write in due dates and work backwards. If a paper is due the third week in March, write it down. Then pencil in the rough draft due the week prior, the note taking the week prior to that, and the outline the week prior to that. Teach your children to think ahead and plan accordingly, always allowing for a few extra days of wiggle room. Teach your child to become independent. This is big, my friends! If you want a organized, confident college student, now is the time to teach them how to be one. It does not come naturally for most high schoolers. Little by little, subject by subject, you need to teach your kids to be independent thinkers and doers! Teach them how to learn and then let them do it - by themselves. Yes, they will still need some oversight, but it is time to let go of their hands and let them succeed, or fail, on their own. You cannot follow them to college and remind them of when their assignments are due. Let them learn now, under the safety of your roof, rather than by trial and error in the much less forgiving world of college professors. Everyone has 24 hours in a day. No more and no less. 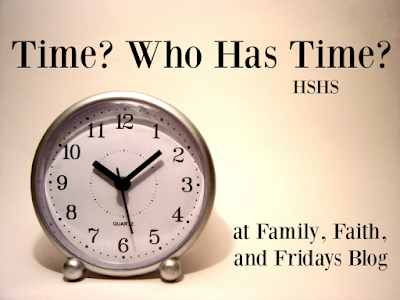 Finding the time to fit it all in during the high school years can be challenging, but with a plan, a little practice, and a lot of guidance, we can find the time to "fit it all in!" Chareen @ Every Bed of Roses shares thoughts on the question: Can you fit it ALL in during the High School Years? Wendy @ Life at Rossmont shares: Help! How Do I Fit It All In?! 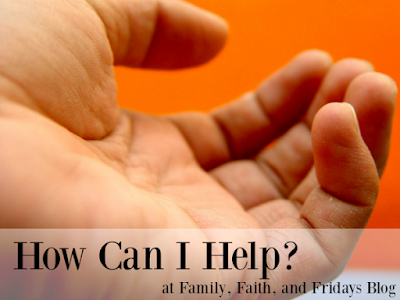 Carol @ Home Sweet Life shares: Help! I Can't Fit It All In! A House and an Accident- All in One Day! As of Friday, we are officially home owners in the Omaha area. Yes, I bought a house without my husband. Sure hopes he like it! 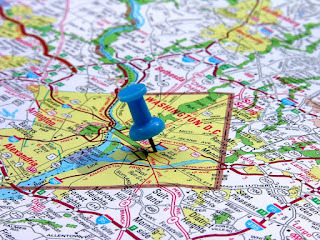 ;) It feels like home already and it is going to be hard to live between two different places. While it is incredibly difficult to leave the sweet town we live in and dear friends, we are eager to be a family reunited again in a few weeks. To show you what an amazing real estate agent we had, this is what we found waiting for us on a chalkboard wall when we first got to the house. (Sorry kids, it has since been painted over!) She also left us a basket of treats from our friends at 621 Gifts! I have said this before, but it bears repeating, the local mid-west products Dan and Tonya carry are incredible and they are expanding their inventory on a regular basis. Now is the time to order for Christmas! And now for the rest of the story! 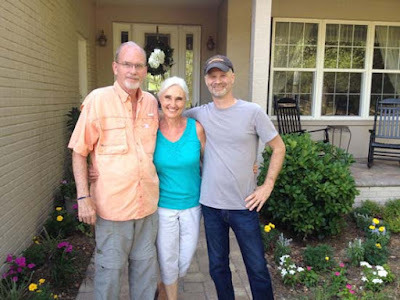 Just as I was walking into the real estate office to sign a bazillion papers, my oldest daughter called me to tell me that she and her brother, who were on the road to join us, had been in an accident. When she left home, the weather was fine and dry. Within 45 minutes they hit a wall of snow and ice - literally! After hitting black ice they did a 180 and went off the road into a ditch. Here is a picture of their view once they stopped, looking back the way they came from. And here is what the back tires looked like. Here is Salem, calm and collected, and Ashton's "I am not impressed" face. They had a lot of bonding time as they sat in that car for 30 minutes initially waiting for the police and another hour and a half before they were towed. In the cold. Alone. In a ditch on the side of the highway. Momma was not happy, can you tell!? Let me tell you how good God is. The police in that area responded to 66 accidents during that time. Many cars were upside down. By the grace of God my 21 year old daughter managed to keep that jeep upright. By the grace of God she and her brother were uninjured. By the grace of God we have old friends in the area that, though they were also headed out of town, turned around and found the kids in the ditch. They eventually had the car towed to their mechanic and allowed the kids to stay with them for the night, as the weather was too bad for me to get to them. The area got 16 inches of snow! On top of it all, we are now moving to an area where long time friends of ours are also living and the husband went to get my kiddos and bring them home safely the following day. It was a longer trip than normal because of the bad highways, and again, I am thankful for the friends that God has placed in our lives! So yes, for two hours, I signed house papers while at times stopping every three or four pages to take calls or texts regarding the kids and the wreck. Our realtor was a saint and had the patience of Job. I am also pretty sure she does not get paid enough to go through what she did with us. I walked into her office shell shocked, scared, and unsure of what to do next. She prayed for us and allowed me time to regroup and take things one small step at a time. A house closing to go down in the records for sure! Good news- we own a house once again and my kids are safe! What could have been a tragedy was not. Is it just me, or has going to college become more and more of a difficult road to travel? I mean, I remember just applying to a few schools and choosing to go to the one a lot of friends were going to. OK, there may have been more involved, but I am pretty sure that was all my 17 year old brain cared about. Well, now my 45 year old brain cares about a lot more, trust me. Having already sent one child to college and learned a lot from that experience, and now getting ready to send another that way in the fall, I realize there is so much more to think about. So much more! And it is not always a barrel of fun. But there IS a lot to think about and I can tell you from experience that the more thought you put into it BEFORE they go off, the better off you will be and hopefully the happier your child will be. At least, that is the theory! 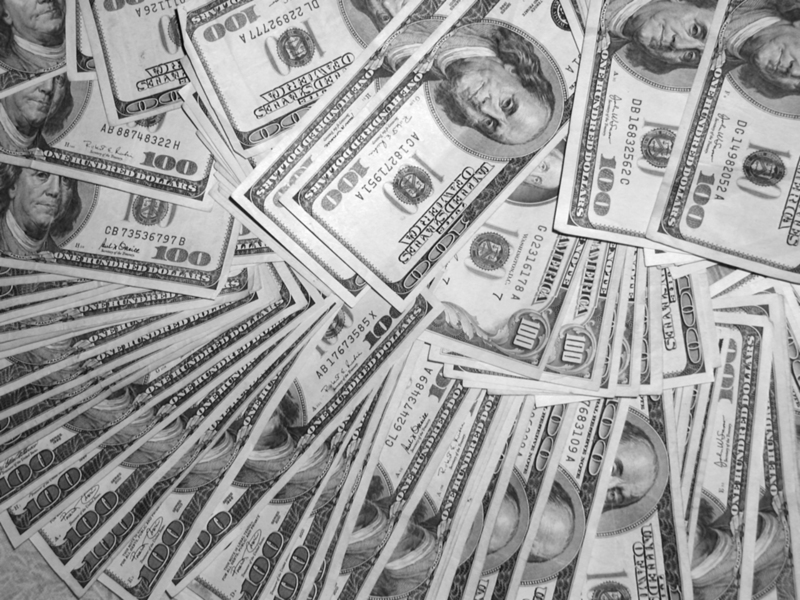 Cost- How much does your school of choice cost? Take a good, long look. You typically will find general tuition and room and board costs pretty easily. What may be harder to see are things like library costs, parking fees, and other trivial things. But trust me, those seemingly trivial things can and will add up fast. Don't forget a meal plan: college students do like to eat! 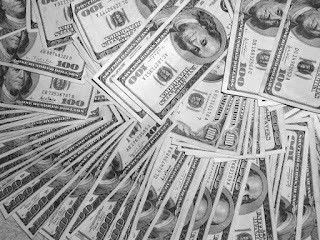 Scholarship opportunity- Does the school offer a wide variety of scholarships? Often the more expensive schools have more scholarships to offer and, therefore, can end up being your cheaper way to go. I know, crazy right? Do not eliminate a college just by a glance at their price! Scour their website for scholarships they offer, but do not forget outside scholarships as well. Even places like Target offer scholarships in many states! Who knew? Service organizations are often untapped scholarships as well. 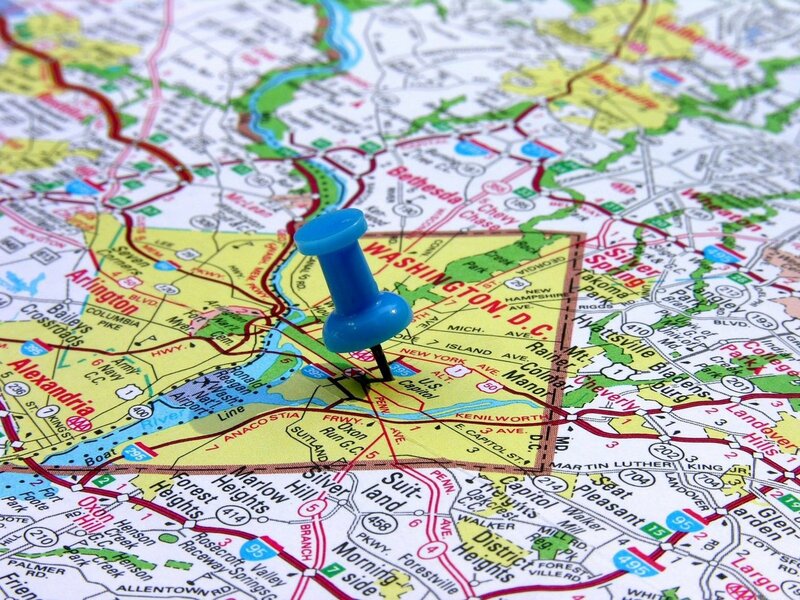 Location- How far is your school of choice from your home and why does it matter? First of all, travel should be considered as part of the cost of college. Ask me how I know this! 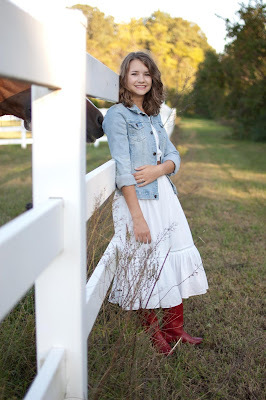 When our oldest went to school a good two day drive away from our home, we forgot to factor in how many plane tickets home or nights in hotels and gas that would cost. Lesson from the wise, don't overlook that! Those small details can easily equate to not so small pocket change out of your budget! Also, is your child a homebody? Do they want to be near siblings or come home for an occasional weekend? 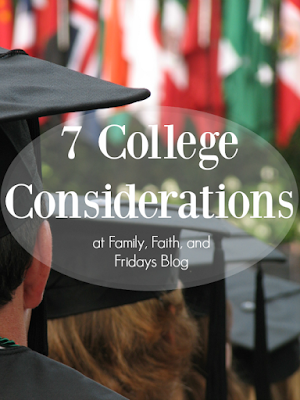 In my opinion, part of being in college is the experience of being in college and learning to be independent, but, if you know your child will be back and forth, choose a college that is close enough to home to make that a reasonable thing. Major- Yes, it is important! I know that the old mantra is go to school and do general education for a few years and see what you like. That mantra has produced a lot of 5 and 6 year college grads. If that is ok with you, fine, but be careful. 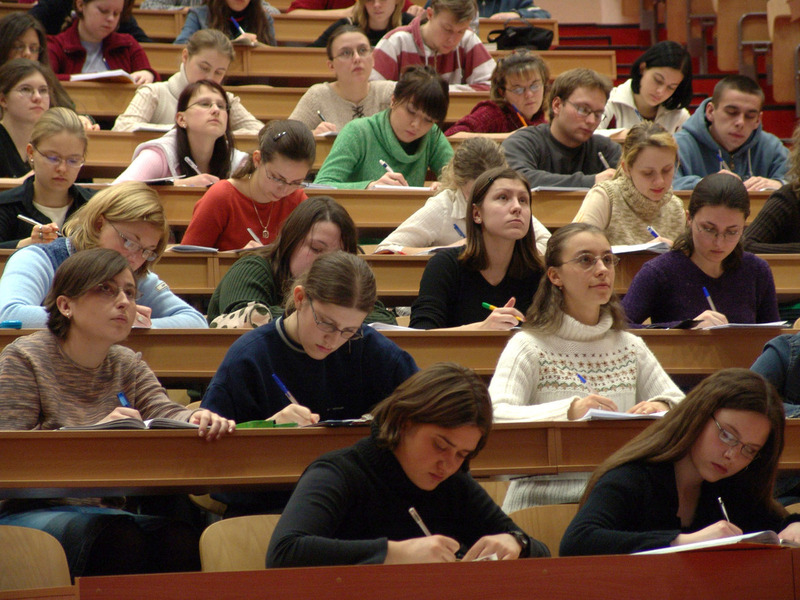 What we are seeing more and more is that many colleges are spreading gen. ed. 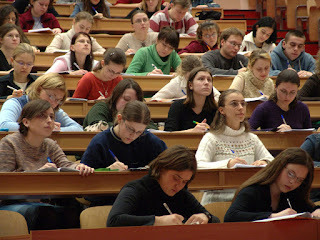 classes out evenly through the four years and allowing students to immerse themselves in their major pretty quickly. Some schools are even forgoing many of the traditional gen. ed. classes completely. It is probably a good idea to look for a school with your child's interests in mind. If they really have no idea what they want to do (they are only 17 and 18 for goodness sake), then make sure you steer them to a liberal arts school with a lot of good, solid choices for majors. If they want to pursue specialty training, then send them to a place for that training. No use in wasting their time and your money on things that do not matter to them. 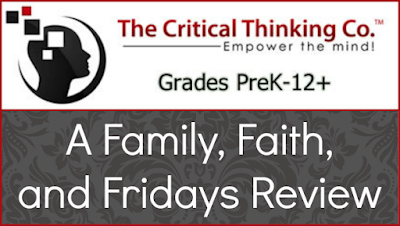 Private vs. Public- If you and your child decide that religious affiliation or values are important to you then you will more than likely want to look at private Christian schools. Be forewarned that the name "Christian" in a school is not a magic formula. Do your research. Also be aware that there are wonderful Christian organizations even on secular campuses across the states if that is a desire for your child. In addition, state schools are usually cheaper, especially when combined with in-state tuition rates. Private versus public also usually plays a role in school size as well, with many private schools being smaller in size. Size- Which brings us to size. How big is the campus? How many students attend the school? How big is the town the school is in? Some kids thrive in large groups of people while others prefer more intimate settings, whether it be class size or just the sheer number of people on campus or in a town. This is one of those things that a few quick campus visits will answer. See what your child is comfortable with and lean in that direction. Security- Years ago, this would not have even been a thought in my brain. Now, well, it is obviously important. Be ready to ask questions. What is campus security like? Who does it consists of? What training do they have? What emergency plans does the school have in place? If a school does not take their campus security seriously, you need to look elsewhere. So now what? 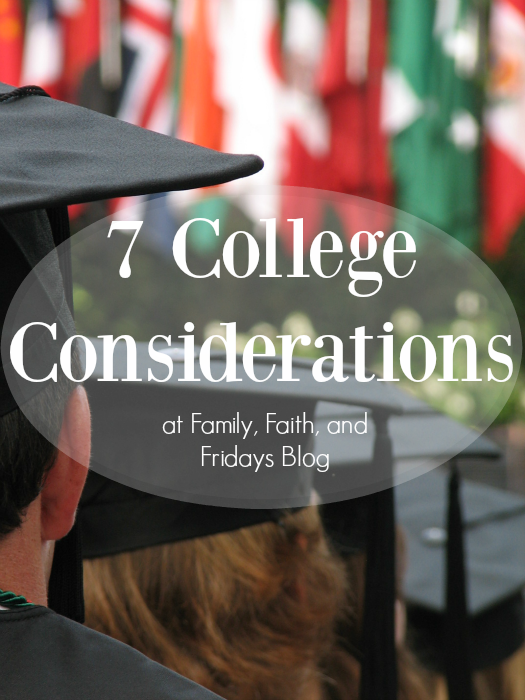 Once you identify a few schools, go through these college considerations and probably a few more. I would then suggest you have your child make a chart with the parameters that are important to him or her so you can compare each school. I would also add a notes column for any additional things you see, especially on campus. And then, yes, go to the campuses of your top choices one by one. There is just no better way to get a feel for a school than to step foot on their campus. Go for a tour, attend a few classes, whatever it takes, but go visit. Take more notes, ask more questions, and let your student feel things out. Then go home and process for a few days! Talk things out as a family, but in the end, make sure your child is happy with his/her decision. You may be paying for it, but your child, after all, is the one attending, and you want him/her to be happy and thrive! I know, I know, a Bible review again! I told you I have a slight obsession with Bibles. I also happen to really love being able to give them away! (Giveaway at the end of this post!) There are so many styles to choose from, so many versions to read, and so many features to look for. I love the smell of a new Bible that has been opened for the first time and the hope of new beginnings as you start with Genesis 1:1, "In the beginning God created the Heavens and the Earth." I also love the look of an old, faithful Bible that has been loved - with it's crinkled pages, sermon notes, prayer requests and personal thoughts jotted in the margins. It is like visiting a close friend. Did you know that the Bible is the best selling book of all time? I may be the one driving that number up these days! Haha! And this one! The ESV Men's Devotional Bible published by Crossway is another one of my new favorites. Make no mistake, the Bible is for everyone. You do not need fancy fonts, tons of maps, or leather covers - God's Word is sufficient. But sometimes it is nice to find a Bible that just seems to suit you, like the wallet you never want to throw away or that one shirt you continue to wear even though it is worn to the bare threads. I think the ESV Men's Devotional Bible will be that Bible for the special man in your life. Yes, it is for men. With its black slip cover and hard cover as well, it is a manly looking Bible. More importantly, there are 365 devotions written by men for men. 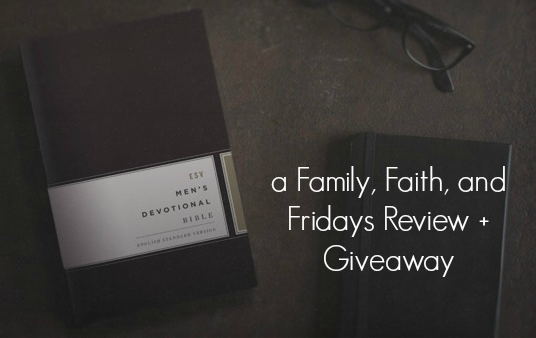 These devotions, based solely on God's word, are meant to inspire and strengthen men in their walk with Christ. Each short devotion, one for each day of the year, applies the Gospel to important areas in a man's life- homes, work, churches and workplaces. - 14 brand-new articles- These 1-2 page articles cover topics from doubt to fathering to life in the local church. They would make a great jump start to a men's prayer or accountability group. "Relevant teaching information every guy should know!" "Great layout, easy to read format." "The articles are well thought-out and written." Wow, DONE! 20 reviews completed for the 2015 Schoolhouse Review Crew Year! As I get ready to move on to my new position as Product Manager with the Crew, it has been fun to look back at all we have reviewed and pick our favorites for the year. The task was actually not as easy as I thought, as more than several things we were blessed to review ended up replacing our current curriculum and became a part of our daily life, not just used for the review period. Colby's- The Fun Spanish- This is kind of funny to me. Yes, we really liked this program, but it is one that the more we use the more he likes it. It is now what he wants to do first thing in the morning because it is truly fun! Salem's- Heirloom Productions- With Lee in Virginia Audio Drama. No surprise here. This boy loves audio drama and these are great quality. Mine- (yes, I am allowed more than one, I am the mom!) IEW. Simply the best writing program out there in my opinion. We do not start it as early as many people do, but I believe a few years of this writing program will make a huge difference in your teen's life! UnLock Math- This is one of those "I did not know I needed it products," but it turned out to be a God-send. We have a math product we have used for high school and been perfectly happy with but this just clicked for us, provided the customer support we needed at times, and my son, on his own, chose to stay with it after the review period. That says a lot- trust me! There were so many amazing programs this year, many of which we did not review but others did. Once again our family was blessed by the Crew and the opportunity to have these products in our home and incorporate them into our homeschool and lives. 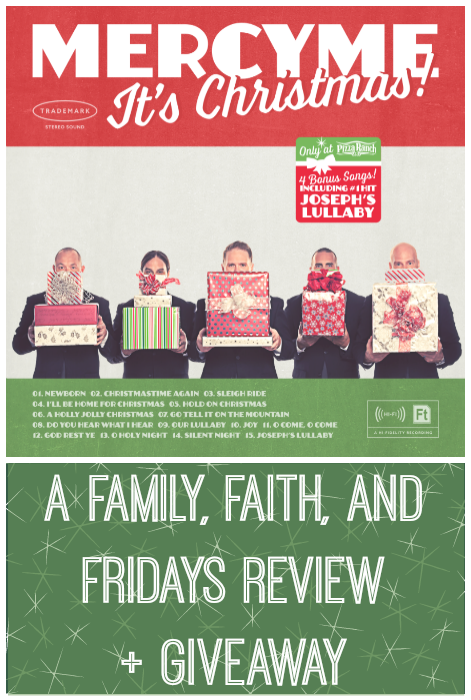 Each year at the end of the year the Review Crew votes on their favorites- it is one of our favorite parts of the year and I pray blesses the amazing vendors we serve. If you would like to see all of the official winners, voted on by our Review Crew, as well as other crew member's favorites, make sure you check out our linky just for those posts! While I will not be reviewing products for the 2016 school year, I am still actively involved and can tell you that there is a heck of a line up of products! Make sure you keep your eyes open starting in late January! Yes, I admit it. I am a HUGE MercyMe fan. I think the first time I ever heard them was at a live concert at a little church in a little town in Alabama. There is just something about their voices that stills my heart and brings me joy. And then there is pizza. The whole family likes pizza. 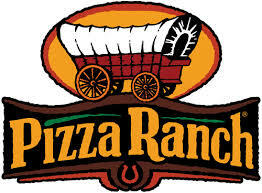 And we have mentioned before that one of our favorite new-to-us pizza places is Pizza Ranch. Good food, great buffet, and Christian music in the background equals a fun place to take the family out for a treat! What do you get when you combine MercyMe and Pizza Ranch? MercyMe's It's Christmas! CD, with four songs exclusive to Pizza Ranch on CDs sold at any of their locations. MercyMe It’s Christmas​ CD will be available in Pizza Ranch locations beginning November 1, 2015 through December 31, 2015. CDs will be sold for $5.00 plus tax. Pizza Ranch will give away the CD with a $25 gift card purchase as well as sell the full album at each of its 200 locations throughout the Midwest and Great Plains states. See why I love that place? I have to tell you, this CD has taken several trips around our home! My 13 year old was the first to confiscate it and listened to it for days while doing school. He says it is his favorite Christmas CD and his favorite song is O Holy Night. My 17 year old took it next and said her favorite song was Hold On Christmas because it has almost a 60s "vibe." Her words, not mine. She too really liked the CD! Luckily, it has finally ended up in my living room for all to hear, and will remain there until sneaky fingers take it again. My favorite Christmas song is O Come, O Come, but I love that this whole CD is full of Christian, Christmas classics! Just in time for the holidays, you can enter to win a copy of It's Christmas! by leaving a comment telling us what your favorite Christmas song is! Want an additional entry? Tell us in a separate comment what your favorite holiday tradition is! I was born into the military. Well, I was born to a military father and his beautiful wife, a strong military spouse. Either way you put it, I'm a military brat. Or, for those who think "brat" is a negative word, I'm a military kid. I grew up with the smell of jet fuel -- playing and eating at events in helicopter hangers, and staying perfectly still and quiet during countless ceremonies. I've sat in and pretended to fly more helicopters and planes and jets than I can count, but I've never been up in a military one. I've moved 13 times (soon to be 14 times) in 21 years, and I've loved it. Moving was an adventure. Military life was an adventure. It wasn't until I got older that I saw the other side of the military. The side that is less parade grounds and air shows and Star Spangled Banners and more difficulty and separation and loss. Lots of loss. I remember realizing that moving and leaving friends made people sad, and wondering why I didn't feel that sadness. I remember when my dad's best friend was killed in action overseas, and seeing dad's sorrow and the sorrow of a widow left behind with a tiny son to raise alone. And then, years later, seeing the man's name on the Air Force Academy Chapel wall, and feeling the weight of every other name there, too. I realized why my great-grandfather didn't talk about serving in WWII and that the statement about war written on the young soldier's helmet in the famous Vietnam war photo is true, and no one wants to re-live war. I realized that dads and moms could be ordered to far off places without their loved ones, serving for 6 or 8 or 12 months, and I lived the reality of that horrible separation, three times. I realized why the National Anthem makes women and even old, stern and stoic men cry, because it makes me cry now, too. Anything remotely patriotic makes me tear up, and I apologize if you happen to be standing beside me when it happens. Most of all, I realized that they are right, freedom really isn't free. All freedom has a terrible price, and the price is life. The lives of those who live the military life, and their spouses and children and loved ones, and the lives of those who were called to make the ultimate sacrifice. And it's the same with freedom in Jesus Christ. We are free because he paid the price for us. He gave his life as a ransom for many and was the most ultimate sacrifice. But even in the face of this truth about freedom, I can't say that I despise the life I've lived and continue to live. Instead, I'm deeply grateful for it -- for being part of something bigger than myself, for the lessons I've learned, for the pride in my country and my father, a man who lives with integrity first, service before self, and excellence in all he does. For the men and women who gave and give their lives, dying to themselves on a daily basis. But most importantly, I'm thankful for a Savior who gave His life. Because it is His sacrifice that makes this fleeting life worth living and gives me a hope of a better life to come. And for that, I am most thankful. The Critical Thinking Co. has always been one of those companies that I pour over their catalog when it comes in the mail. I mean, they just have an amazing bunch of books and such to choose from. From reading to history and language arts, you will find workbooks for all ages and just about every subject. The Basics of Critical Thinking, recommended for grades 4-9, is one such book. However, this book is a bit different. It explains to a student what exactly critical thinking is and then teaches them how to use it. Through various activities in this 133 page book, your child will learn how to identify and sort through needed, and sometimes not needed information, and then evaluate that information to provide conclusions. Sounds complicated? It can be at times in the real world! What is truth? Did they really mean that? Is that what it really said? Is that important? Is that logical? All those things and so many more are important to critical thinking and can be hard concepts to teach. Luckily for us, The Critical Thinking Co. has taken the hard work for parents and made it into fun activities you can do with your children or they can work through on their own. Because they are in puzzle, mystery, and game fashion, I think your child(ren) will enjoy doing a few pages a day! • What Is Critical Thinking? I accepted this review (ok begged nicely for it) with my 3rd grader in mind. We are thick in the middle of learning about thinking things out before we make decisions. Can anyone relate? I hoped that instead of mom just saying "stop and think first," The Basics of Critical Thinking would help teach the same thing. You know, that whole, "if someone else says it other than mom I actually might listen" phenomenon. Because he is currently under the recommended age range, I did anticipate he would need a little help. I began the book with my older son, an 8th grader, doing a few pages together. It was a fun way to spend some time with him. He had had some introduction to similar activities so he was able to jump right in, and in a few cases did better than I did. Go figure. Throughout the review period, he also picked up the book several times (the advantage to leaving it on the coffee table in plain sight) and did a few of the activities by himself. The Finding Evidence chapter was his favorite because the puzzles are like a mini who-done-it type thing. As for the my 3rd grader? Some areas he did really well with and others, not so much. He tends to almost overthink things and wants to add in what he thinks are logical thoughts and conclusions based on his own experiences. He tended to get frustrated when he did not understand something, showing his age. I had hoped that it would be a good activity for the boys working together, but though it did bring a few giggles, it mostly brought frustration on both of their parts. Bag the teamwork idea! Instead, it became mommy time where we would snuggle on the couch and try a few pages at a time, which went more smoothly. As with all the other books I have used from The Critical Thinking Co., I really like this book! It is full color and fun to use. It takes a light-hearted approach to learning the skill of critical thinking and is a fun way to spend a few minutes each day learning. I also think it would be a good book to add to your Fridays if that is a day that you count as an "extra" in your homeschool. In the past we have used Fridays to add in more fun subjects that the kids can explore on their own, such as math and logic games and activities books like this one. Older kids will have no problem doing this book on their own, just be prepared to be stumped a time or two when they come ask you what you would do! Luckily for the teacher, the answers ARE included! After my post last month about our current situation and a few of my personal thoughts on the matter, Don't Be a Hero?, I got a lot of feedback from people who were in similar situations. Many replied, yes, that is how I feel, or yes, that is what I wish people knew. And several had a few new suggestions as well. All spoke to my heart and I KNEW I had to continue the message on how to help others. I contacted some friends in these various situations and asked them what they wish they could tell people. -While we do not want you to pretend our spouse is not where they are, we do not want to talk about current events. We are living current events and yes, I know what is going on there today and every day. -Include us in your holidays. -Call just to check in. -Be a role model for our children, especially our boys whose dads are away. -Provide a girls night out. Sometimes we need to hear another adult's voice, other than our own. -Just show up and shovel the snow or mow the lawn. It is great when someone just sees a need and handles it. I don't want to have to ask. -Offer to host a playdate so I can run errands alone. Sometimes the silence is needed. -Provide rides to and from kids' activities occasionally. At the end of the day, it is hard to drag myself out again. -Offer to teach a skill you have to my child. It gives me a breather. -Do not compare my deployment to yours. Each is unique and this is not a contest. -Please do not tell us how blessed we are. Yes, we are blessed. But that does not lessen how much we miss our loved one. -Offer specific help on specific days. I cannot handle any more decisions- feel free to make some. -Ask yes or no questions. Sometimes that is simply all we can handle. -Invite us over for dinner or just a movie. -Treat us to lunch out occasionally. It doesn't have to be big, it is just nice to feel like part of a family. -Take us home with you after church. Weekends can be lonely. -Offer us a quiet place to study away from the campus. -Surprise us with a gift card or cookies. We miss mom's home cooking! -Include us in holidays when we are far from home. -Talk about our loved one. -Don't be afraid of our tears. -Offer to have us over for special events and holidays. -Adopt us as part of your family. -Include us in your everyday life. -Don't assume that being around other married couples is hard. Sometimes the role models are good to have. -Offer help in specific ways, not just the "call if you need me" line. -Physical touch matters. Offer hugs and pats on the back. -Offer to help with our kids occasionally. -Offer to get our mail or take out our trash. -Drop off a plate of food for dinner as a surprise. -Stop in with a movie and snacks for the evening. -Offer a ride to doctor's appointments. -Drop a card in the mail to us. Isolation is not fun and sometimes a funny card can life our spirits. -Pray with us and for us! Oh friends, this is just the tip of the iceberg. If there is one single thing this past year has taught our family it is that people are more important that things. We do not need things for the most part, we need people. We must learn to take better care of each other; we must be the hands and feet of Jesus. It takes effort. It takes thought. And it often means stepping out of our comfort zone and putting our own selves aside. Serving others is hard work. But would God want any less of us? May we all be challenged by the honest words of my friends. I know our family has been. We want to make a difference in people's lives. Sometimes I (Ashton) get asked about where I find clothes, particularly modest clothing. 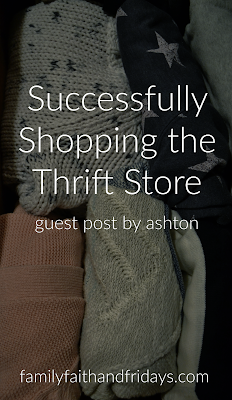 And the honest answer is all over, but mostly thrift and consignment stores. Because I have very expensive tastes AND I'm super cheap. Yeah, its hard. But that's why I love thrift stores. 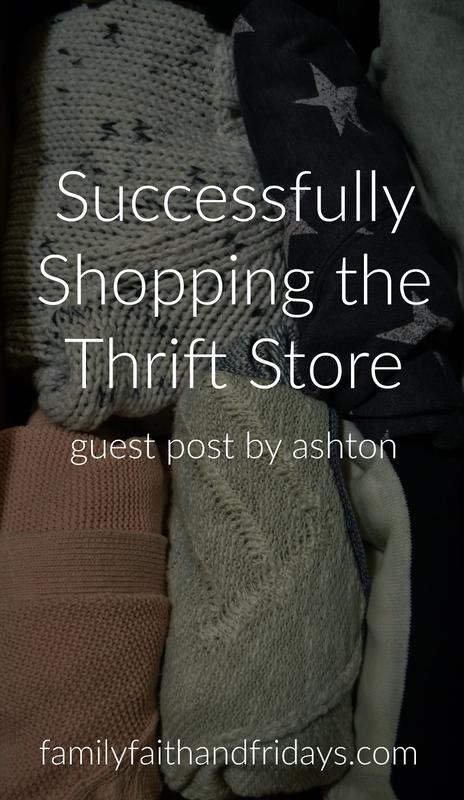 And today I thought I would share my very best tips to successfully shopping the thrift store. -Be picky. Most of my clothes are brands like JCrew, Land's End, Eddie Bauer, LLBean, and LOFT. But I've never actually been in or bought clothes from a JCrew, and I've only been in LOFT maybe twice. However, I usually look at the brands of clothing in thrift stores and try to stick with nicer brands that I know and like. Their clothes hold up better and I know what size I wear. -Don't be picky. Right, I know I said be picky. But sometimes you gotta ignore brands, because in reality, no one will know if you are wearing JCrew or Walmart if the garment looks pristine and fits you impeccably. So don't pass up a perfect piece that you love just because you haven't heard of the brand. -Examine clothes carefully. And I mean carefully. Look for stains, holes, wear, and stretched out places, especially along seams and the front. Don't forget to test all of the buttons and zippers or other closures. Check sweaters for snags and pilling, and please, don't buy worn looking sweaters. They won't look any better once you get them home. If you buy something with the intent of fixing it, ask yourself, can I really fix this and will I do it in the next three days? If not, leave it. -Know what you like and what looks good on you. I don't really look good in light brown so I don't even look through the light brown clothes, and I cannot wear over-sized clothes because I look like I'm drowning in fabric, so I pass on those, too. -Try everything on. It's a hassle, I know, but do it. It will save you money and you will leave with what you know fits and looks good. Besides, if it looks good in the horrible thrift store lighting, it will look good at home. -Watch and wash. Watch the care labels: if you don't want to invest the time and money to have something dry cleaned, don't buy it. And please, wash your new clothes before you wear them. Thank you. -Watch for extra discounts. Some stores do half-off days, or brown paper bag days, or Military discount days, or a discount on anything with a particular color tag, so keep your eye out! -Don't shop! The easiest way to save money at the thrift store is to just not buy anything. The easiest way to do that is to not go in in the first place. Trust me! So there ya go, my best tips and tricks. And I would love it if you commented and shared yours! Yes, you have seen me review Brinkman Adventures Season 2 before! Yes, I still begged to review the third season. Yes, we LOVE Brinkman Adventures! Ok, now we have established the fact that my family has a slight obsession with Brinkman Adventures. The kids (especially the boys) love audio adventures of most kinds, but these are the ones we enjoy the most as a family. 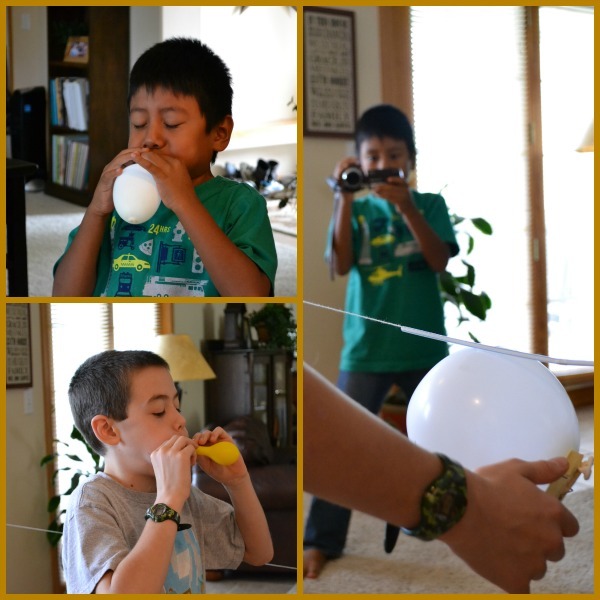 Yes, our family of 6, ages 8-45 enjoy following each new addition of The Brinkman Adventures. 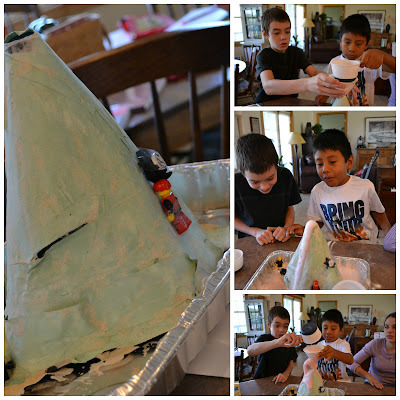 When you can find something that appeals to everyone, that is family fun at its finest. 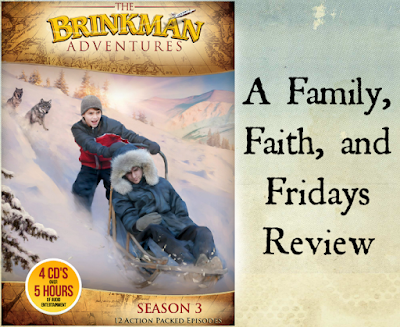 If your curiosity is piqued after an episode, and I guarantee it will be, you can get the full, real missionary story details and behind the scene peeks on The Brinkman Adventures website. You will not want to miss those details! Ian Bultman, head of the family, has a heart for missionaries and it shows in every space of their website! 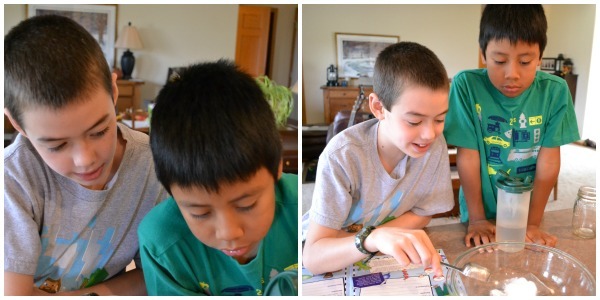 If I can steal the set away from the boys (who tend to hoard them in their rooms), we love taking these on road trips, as we got to do during this review period. I do admit, you better be hanging on to the steering wheel just in case. Between the dramatic music and the excitement I did jump a few times. Each of the 12 episodes is filled with excitement and suspense and let's just say my old heart was racing a few times. The funny contrast is that the boys also frequently listen to them while doing other things in their rooms and have no trouble multitasking. Both are auditory learners so I wonder if that make a difference. Where I tend to have to really pay attention to not miss anything, they tend to take it all in by osmosis. What I love most about The Brinkman Adventures is that my kids get to hear stories of how God is still working today in the lives of missionaries who devote their lives to Him. I love that they see these real-life people as heroes and know that they too could be used at any time in the ministry of God. With each adventure, the kids are exposed to different culture and traditions around the world - it's like a geography and cultural lesson all rolled into one. The adventures teach things such as faith, faithfulness, honor, and bravery. What better character attributes to emulate? And our favorite episode? Well, that is hard to say. 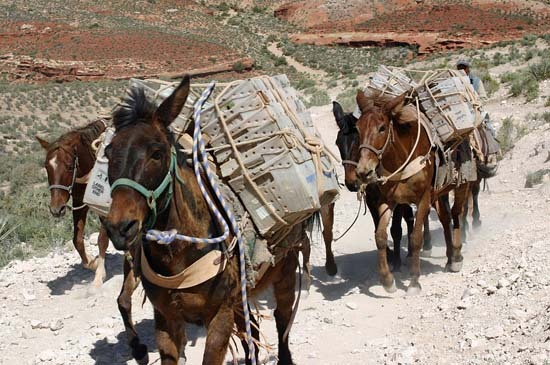 I admit the episode God's Mule was my favorite. I just love hearing how time and time again the missionary Tomas was able to smuggle Bibles across the boarder without an incident and that each time he did so with more help and more Bibles. Can you just imagine doing that and seeing a guard pull back his hand from a suitcase like he was hurt and wave them through, or watch a whole security station be abandoned as you walk through with suitcases packed with illegal Bibles? I am awed at the thought. My boys say they like the A Saint's Story episode the best. Actually, this one a two part-er. I could have called that one probably! To say we have a fascination with Steve Saint is an understatement. We were also blessed to hear him speak years ago. His stories and the stories of his famous missionary father, Nate Saint, will forever hold a special place in our hearts. What's really cool about these two episodes is Steve actually played himself. Yes, that is THE Steve Saint you hear and these particular episodes are as close to accurate as possible. Steve and his wife Jenny with Ian. There is just no other way to say it, other than we adore The Brinkman Adventures and highly recommend them to anyone who wants to add faith-filled missionary stories to their library. These audio adventures will keep you on the edge of your seat and fill you with stories of God's love, year after year! 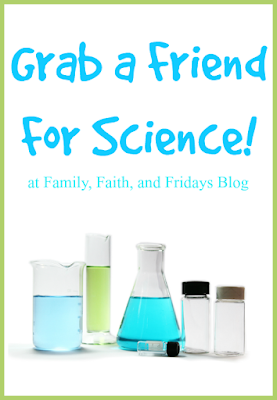 Grab a Friend For Science! Have you ever noticed that some people are just science people? I mean, they love the fancy words, the fine details, and the experiments. Especially the experiments. I am not one of those people. Yes, I am a firm believer in learning science, but no, I do not love doing the experiments. It is not even just that I do not enjoy doing them, but they just seem like so much work sometimes, especially when doing them for just one student. And because my youngest is pretty spaced out from his siblings, yes, we do them for just one student these days. But I have found a solution that has brought the fun back. Grab a friend for science. 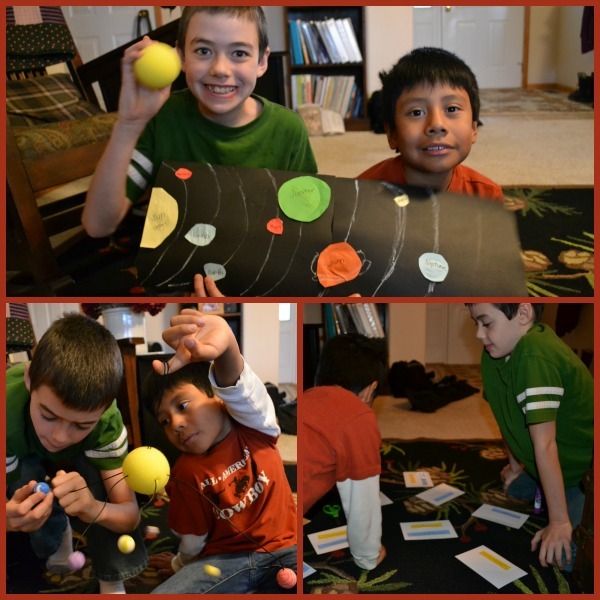 Because we choose to use a science kit, each day looks a little different for us. Our lessons are not particularly tied to what each of the boys are currently learning, but have always been worth while none the less. 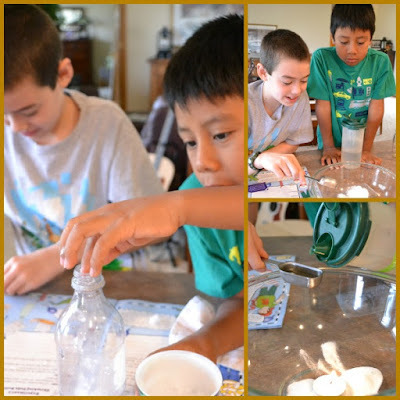 I admit that the pre-made science kits appeal to me because most of the leg work has been done for me, but there are plenty of other sources out there, book or internet, that provide simple ideas for a homeschool experience. So far we have covered the properties of matter, the weather, volcanoes, planets and even some chemistry.